Established in 1977, Keeler Family Realtors has strived to live by our mission statement that can best be summed up in the following three words, "EXPERIENCE, SERVICE AND INTEGRITY". Our goal is and always has been to provide the highest level of professional service available to our customers and clients in South Central New Hampshire. Testimony to the success of our efforts is evidenced by the large number of referrals and repeat business from our many satisfied clients. Whether buying or selling, make your next move a pleasant and rewarding experience. Our well trained professional agents are waiting to serve your needs. Learn more about our experienced real estate agents specializing in the South Central New Hampshire real estate market! 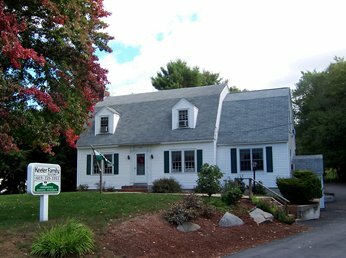 Click here for directions to our Pembroke, NH office and contact information.